Remember the charming sound of the Good Humor Man's Ice Cream Bells? Ger your brass, tuned, authentic ice cream chime bells here! Remember the charming sound of the Good Humor Man's Ice Cream Bells? You'd hear the distinctive ring-a-ling of the chimes as the Ice Cream Man approached in his truck or tricycle and run for you change prepared to make that purchase! Worksman Cycles still offers those very same authentic "Good Humor" Style Brass Tuned Ice Cream Chime Bells. 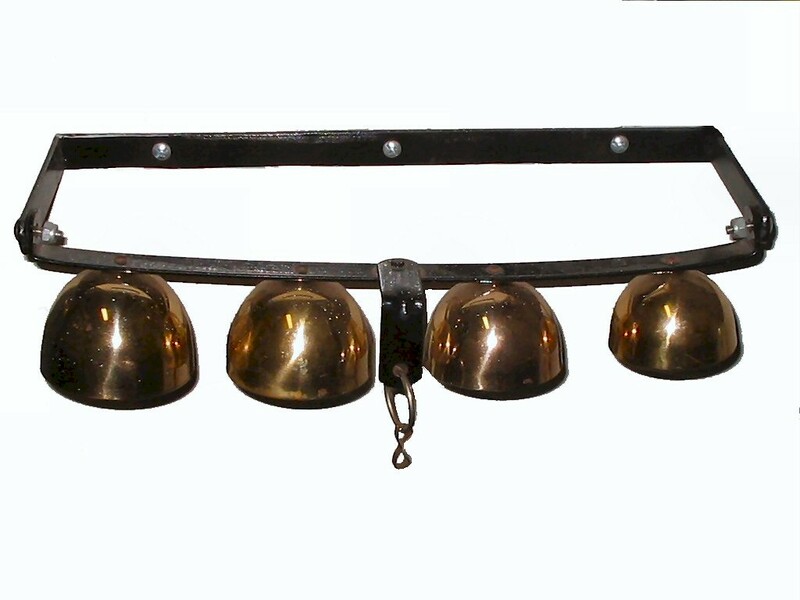 So whether you need bells to attract a crowd to your ice cream business or simply want a great sounding set up bells for another purpose, you can own a set of these classic bells. (Rear Bracket section shown is for example only and not included).